PRICE REDUCED FOR QUICK SALE! Spacious and full of light remodeled studio unit. 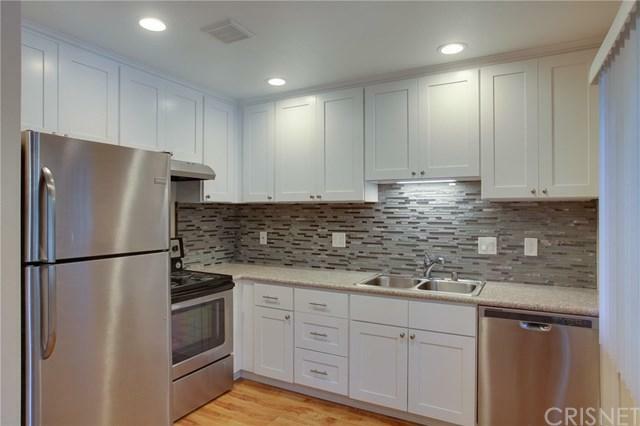 New modern kitchen features white cabinets, granite countertops, beautiful backsplash tile, stainless steal appliances. Bathroom recently renovated. Unit has newer flooring, recessed lighting, large walk-in closet and balcony. There is one covered parking space with a very large storage. Complex has a clean and bright lobby, several BBQs, swimming pool, spa, gym, sauna, recreation room that can be used for parties and meetings! The building is located walking distance to Ventura Blvd shops and restaurants, short distance to Trader Joe+GGs, and the Tarzana Safari Walk shopping area. Convenient to the 101 freeway. Sold by Andres Andy Guzman of Sunset Group Realty.